For oral communications (including slides of lectures and posters), please click here or scroll until after the publications. 26. Etude de l’effet séquence bevacizumab/pemetrexed/cisplatine chez la souris porteuse de cancer du poumon non à petites cellules. 25. Abstract 4529: Optimization of the sequence for the administration of bevacizumab in combination with pemetrexed and cisplatin in NSCLC : a pharmacology based in vivo study A., Boyer, D.C. Imbs, R.E. Cheikh, C. Mascaux, F. Barlesi, D. Barbolosi, S. Benzekry, and J. Ciccolini. 20. Next generation metronomic chemotherapy—report from the Fifth Biennial International Metronomic and Anti-angiogenic Therapy Meeting, 6–8 May 2016, Mumbai. Pantziarka, P., Hutchinson, L., André, N., Benzekry, S., Bertolini, F., Bhattacharjee, A., et al. ESAIM: Mathematical Modelling and Numerical Analysis, Volume 46, Issue 2, pp. 207-237, 2012. Fall 2016. Short sabbatical at the Roswell Park Cancer Institute to work with John ML Ebos, Buffalo, NY, USA. September 2015. 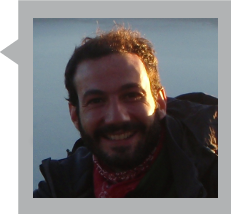 Invited researcher in the Môlab to work with Alicia Martinez-Gonzalez and Victor Pérez-Garcia, Ciudad Real, Spain. January 2012 - November 2012. Postdoc at the Center of Cancer and Systems Biology, Boston, USA. May 2011. Instituto di Analisi dei Sistemi ed Informatica ''Antonio Ruberti'', Consiglio Nazionale delle Ricerche. Research visit with Alberto Gandolfi and collaboration with Alberto d'Onofrio, from the European Institute of Oncology from Milan. Rome, Italy. March - June 2007. Master 2’s intership in the mathematical department of the Polytechnical University of Catalonia : Exploration of deterministics and stochastics neuronal reds. Barcelona, Spain. 50. June 2019, NCI Mathematical Oncology Meeting, Portland, USA. Machine learning versus mechanistic modeling for prediction of metastatic relapse in breast cancer. 48. November 2018, Probability and Statistics seminar, Institut Elie Cartan de Lorraine, Nancy, France. 44. February 2018, Seminar at the Roswell Park Cancer Institute (Invitation by Dr. J. Ebos), Buffalo, USA. 43. February 2018, CMM-Fields-Inria Workshop on Mathematics for Medicine, Toronto, Canada. 42. January 2018, Conference on Statistics and Health, Toulouse, France. 41. December 2017, Seminar at the Rappaport Faculty of Medicine of the Technion Israel Institute of Technology (invitation by Yuval Shaked). Contributions in Mathematical Oncology: When Theory Meets Reality. Haifa, Israel. 40. December 2017, Mathematical methods and modeling of biophysical phenomena. Mathematical modeling and prediction of metastasis. Rio de Janeiro, Brazil. 38. June 2017, XXV Congreso de ecuaciones diferenciales y aplicaciones / XV congreso de matematica aplicada, Optimization of the timing of sequential administration of bevacizumab plus cytotoxics in non-small cell lung cancer by a mathematical model. Cartagena, Spain. 37. May 2017, Laboratoire d'Analyse Topologie et Probabilites, Institut de Mathematiques de Marseille. Mathematical Oncology: Theory Meets Reality. Marseille, France. 36. November 2016, Integrated Mathematical Oncology Department, Moffitt Cancer Center.Mathematical Modeling of Metastasis: Theory Meets Reality. Tampa, Florida, USA. 35. October 2016, Department of Genetics, Roswell Park Cancer Institute (invitation by John ML Ebos). Mathematical Modeling of Metastasis: Theory Meets Reality. Buffalo, NY, USA. 34. October 2016, Robert Kerbel's laboratory at Sunnybrook Research Institute. Mathematical Modeling of Metastasis: Theory Meets Reality. Toronto, Canada. 33. October 2016, Mathematics Department Colloquium, Ryerson University. Mathematical Modeling of Metastasis: Predicting the invisible. Toronto, Canada. 32. May 2016, Metronomics @ Mumbai. Mathematical modeling of chemotherapy scheduling. Mumbai, India. 31. May 2016, Seminar at the laboratory of Génétique, Immunothérapie, Chimie et Cancer of the University of Tours. Data-based mathematical modeling analysis of preclinical studies in oncology. Tours, France. 30. January 2016, Seminar at the laboratoire d'imagerie biomédicale. Classical Mathematical Models for Description and Prediction of Experimental Tumor Growth. Paris, France. 29. December 2015, Present challenges of mathematics in oncology and biology of cancer. Marseille, France. 28. November 2015, Dynamique et contrôle des croissances tumorales, Rouen, France. 27. November 2015, Contrôle des EDP et applications , Marseille, France. 26. October 2015, Journées du Groupe de Métabolisme et Pharmacocinétique , Paris, France. 25. June 2015, Micro and Macro Systems in Life Sciences (MMSLS 2015), Bedlewo, Poland. 24. March 2015, Workshop on hybrid and multiscale modelling in cell and cell population biology , Laboratoire Jacques-Louis Lions. Combined in vivo and in silico quantitative modeling of post-surgery metastatic development. Paris, France. 23. March 2015, Mathematical Methods and Modeling of Biophysical Phenomena, Cabo Frio, Rio de Janeiro, Brazil. 22. January 2015, 36th EORTC PAMM Winter meeting , Marseille, France. 21. October 2014, Autumn School by Japanese and French Mathmaticians . Mathematical modeling of tumor growth and metastatic spread. Data, theories and predictions. Osaka, Japan. 20. July 2014, 10th AIMS Conference on Dynamical Systems, Differential Equations and Applications . A mathematical model of systemic inhibition of angiogenesis in metastatic development. Madrid, Spain. 19. March 2014, Seminar at the Inria team Dracula. Classical Mathematical Models for Description and Prediction of Experimental Tumor Growth. Lyon, France. 18. January 2014, Seminar at the ISPED. Classical Mathematical Models for Description and Forecast of Preclinical Tumor Growth. Bordeaux, France. 16. May 2013, Bi-annual congress of the SMAI. Mathematical modeling of systemic inhibition of angiogenesis and metastatic dynamics. Seignosse, France. 15. April 2013, Seminar of the ANEDP team . Mathematical modeling of systemic inhibition of angiogenesis and metastatic dynamics. Orsay, France. 9. October 2011, Journées du Groupe de Métabolisme et Pharmacocinétique. Paris. Poster and Oral communication, Biomathematical modeling for description of metastatic processes and optimization of combined anti-angiogenic + cytotoxic therapies. 8. July 2011, Workshop on Systems Biology of Tumor Dormancy. St. Elizabeth's Medical Center, Boston USA. A modelling approach for therapies in metastatic cancers. 7. July 2011, 7th Congrès International Congress on Industrial and Applied Mathematics - ICIAM 2011, Vancouver. Mathematical modeling of the metastatic process and optimization of anti-cancerous therapies. 6. May 2011. Seminar at the Instituto di Analisi dei Sistemi ed Informatica ``Antonio Ruberti'', Rome. A modelling approach for the metastatic process. 5. May 2011. ``Emergence'' day of the Institut Gustave Roussy (IGR).Un exemple de modélisation du processus métastatique. Paris, France. 4. June 2010, CANUM 2010. A model of metastatic growth under angiogenic control. Gironde, France. 1. March 2010, 2nd Workshop on Metronomic Anti-Angiogenic Chemotherapy in Paediatric Oncology. Mathematical modeling of MTD and metronomic temozolomide. Marseille, France. 17. August 2018, 17th Biennial Congress of the Metastasis Research Society, Princeton, NJ, USA. A biologically-based mathematical model for prediction of metastatic relapse. Poster. 16. July 2018, Mathematical perspectives in the biology and therapeutics of cancer, Marseille, France. Improving intra-tumor drug distribution of anti-cancer nanoparticles by data-informed mathematical modeling. Oral (senior author, first author C. Vaghi). 14. May 2018, Population Approach Group in Europe (PAGE) meeting, Montreux, Switzerland. Modeling Primary Tumor Dynamics of Human-to-Mouse Xenografted Non-Small Cell Cancer in Response to Administration of Bevacizumab and Pemetrexed-Cisplatin. Poster (co-senior author with J. Mochel, first author B. Schneider). 13. April 2018, Annual meeting of the AACR, Chicago, USA. Mathematical modeling of differential effects of Sunitinib on primary tumor and metastatic growth. Poster (senior author, first author C. Nicolo). 12. March 2017, 38th EORTC-PAMM Winter meeting, Split, Croatia. Optimization of the timing of sequential administration of bevacizumab plus cytotoxics in NSCLC by a mathematical model. 10. June 2015, Mathematical Methods in Systems Biology, Dublin, Ireland. 6. June 2011, 8th European Conference on Mathematical and Theoretical Biology - ECMTB 2011 and Annual Meeting of The Society for Mathematical Biology, Kraków. Optimal schedules for therapies in metastatic cancers . 5. May 2010, CMPD 3, Bordeaux. Modeling and mathematical analysis of metastatic growth under angiogenic control. 4. November 2009, Conference of biomathematics et biomechanics, Tozeur, Tunisie. Presentation of a poster. 3. August 2009, CEMRACS. Asymptotic behavior of the solutions of the renewal equation and Angiogenesis modeling. 2. June 2009. Bucolic days of the student's seminar of the LATP. 1. November 2008, Workgroup Maths-Cancer of Marseille. About the article "A theoretical study of the response of vascular tumours to different types of chemotherapy" de J. Panovska, H. M. Byrne et P. K. Maini. 6-8 June 2011, Biomat 2011, Perspectives in Mathematics and Life Sciences. 3-4 Février 2011, Journées Louis Antoine "Nonlocal equations and population adaptive dynamics". 2 December 2010. Thematic day "Models and imaging in oncology", Paris, France. 30 November - 1er December 2009. Symposium "Health and complex systems" of the Entretiens Jacques Cartier, Lyon, France. 20-23 November 2009. Conference of biomathématics et biomechanics, Tozeur, Tunisie. 20 July - 28 August 2009. CEMRACS'09 Mathematical modeling in Medicine. Project Angio. CIRM, Marseille, France. 2 - 13 February 2009. Advanced courses and conferences in mathematical biology : modeling and differential equations. CRM, Barcelone, Espagne. 18 - 19 December 2008. Pharmacokinetics and pharmacodynamics of anticancerous drugs : resistances and synergies. Centre de recherche des cordeliers, Paris.